Safe Speed Forums • View topic - Maintaining Revenues? I see rural "Safety" Camera Partnership are getting fed up with observant drivers, who slow down when they see the camera vans. 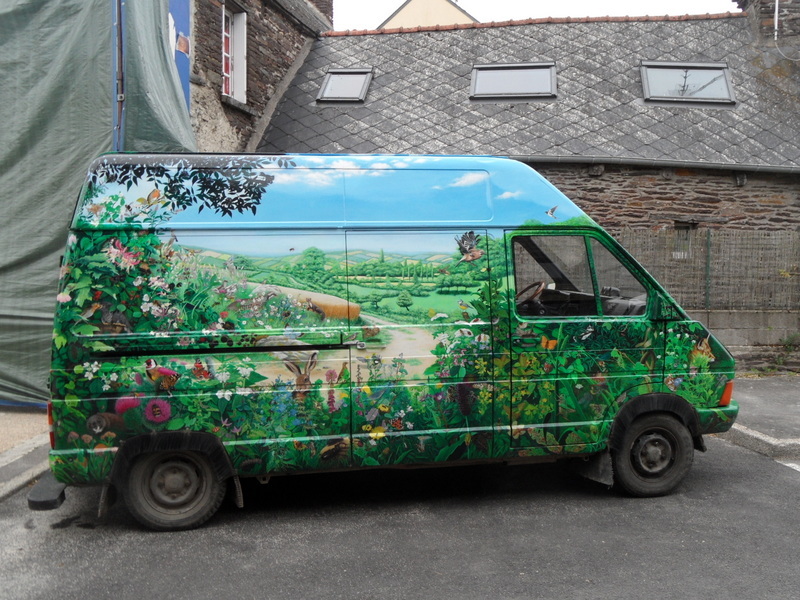 In a bid to stamp this out and maintain revenues, they have taken delivery of a "stealth" camera van, which blends in to the stunning scenery of the English countryside. 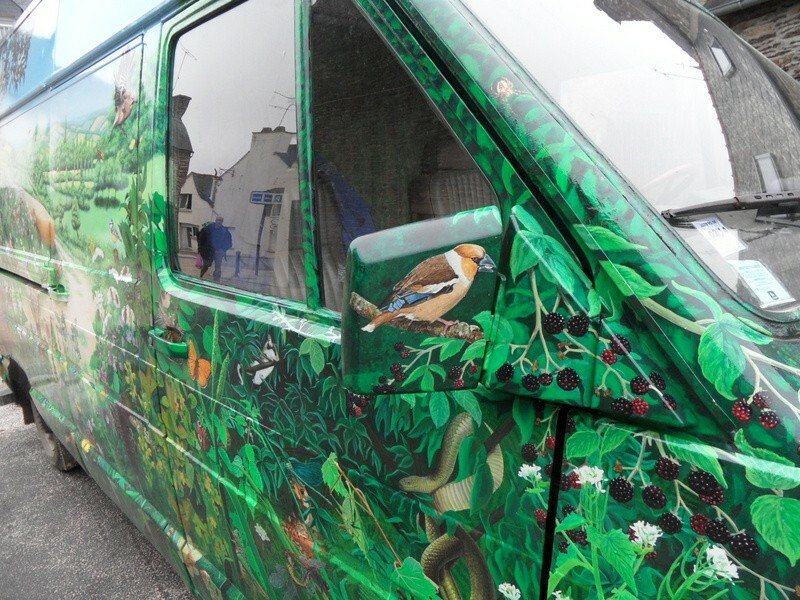 Some wildlife groups are concerned however that the van is so effectively camouflaged, that birds and wildlife may be killed or injured trying to travel through the attractive view parked in front of them, without realising that there is a ill educated person inside the steel shell who otherwise would not have a job. They are calling for Hi Vis stripes to be added to prevent a relentless toll on the poor creatures. The Safety Camera Partnership said a few dead animals was a price worth paying for vastly improved safety on our roads. An AA spokesperson said off road cyclists and motorcyclists might also be at risk. Post subject: Re: Maintaining Revenues? I am just staggered that they can even bother to go to such ridiculous lengths ! The cost alone will be staggering ! I agree many things will not see them. Talk about camouflage ! Still drivers & riders will learn and see them despite of their underhand non-sense! Actually saw one of their evil "yellow perils" yesterday near my house! It was driving, not "scamming". It's the first time I've seen one in quite a while actually. Thinking about it ... they went to all that trouble and yet no wheel hubs in camouflage too ?? Seems odd ... I wonder if someone stole them ? As this subject is a wind-up and totally bogus and has no relevance whatsoever to CSCP it should be placed in the General Chat section. I was looking forward to seeing this section's oldest post reaching the one year + mark like some other sections and this irrelevant post is deliberately spoiling that. With SS2's posts showing clearly she is seeing no wind-up you do have to wonder why you would think this site is of any relevance whatsoever. Can the post be moved to a more relevant section, if there are any of course. Edited to add: oh!...and that picture was used in the same way many-many years ago. Further proof of its mischievous purpose. What are you gonna do next...reincarnate wild cat and family..
Ah. You've spoilt it now. 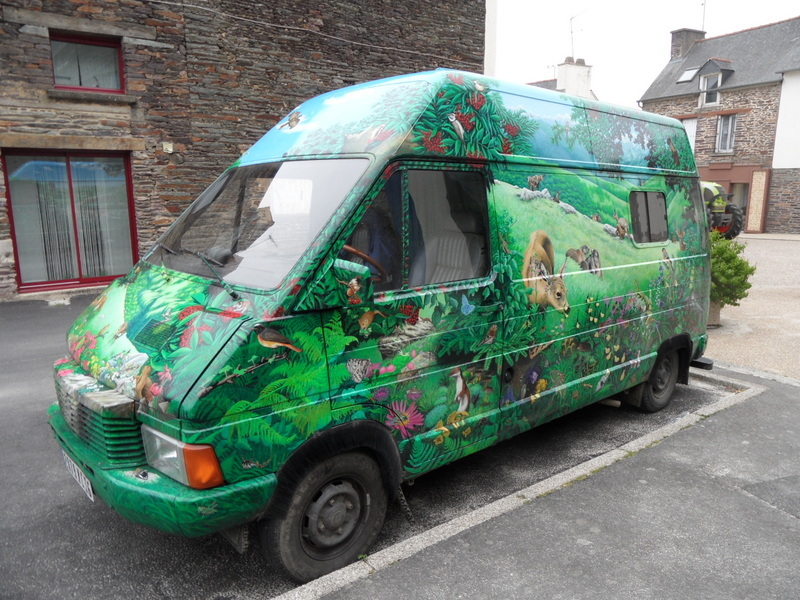 I wasn't convinced it was a SCP van until I saw the snake on the side and that clinched it for me. ...and more posts in a few hours that there has been for months. for a few more months. You’re basking in some self perceived victory on a forum, acting like a troll. It’s to Safe Speed’s credit that you have the space to air your views here, where other Boards would just kick the likes of you off. Consider this. (Or not because you’re just trolling). Drivers speed; as-in they go over a dumb and largely politically motivated H&S speed limit. You can argue all you like, but we all see it every day. I am not a proponent of ‘Big Brother’. But if there was such a thing which infiltrated our lives down to the ‘nth degree, you and so very many others would be shown for the liars you are about “I don’t speed” or the very worst kind of liars who say “I never speed”. There are exceptions, of course! But they are not the norm and that, as far as I am concerned and in my experience, are exceptional. (And let’s just say I know many people from ALL walks of life and that, as far as I am concerned, is a fact). When an issue has the potential to raise such huge revenue on a matter over which the vast majority of people ‘do it’, (unwittingly or not), it always would have, at some point, become an issue sooner or later. Also, if you think this is such a waste of time, why do you even bother coming here...? We must be doing something right if Greenshed is still monitoring the site! Is it because the site that he used to be in charge off, has far less information than this one? What have they reported on since 25TH JULY 2007?? 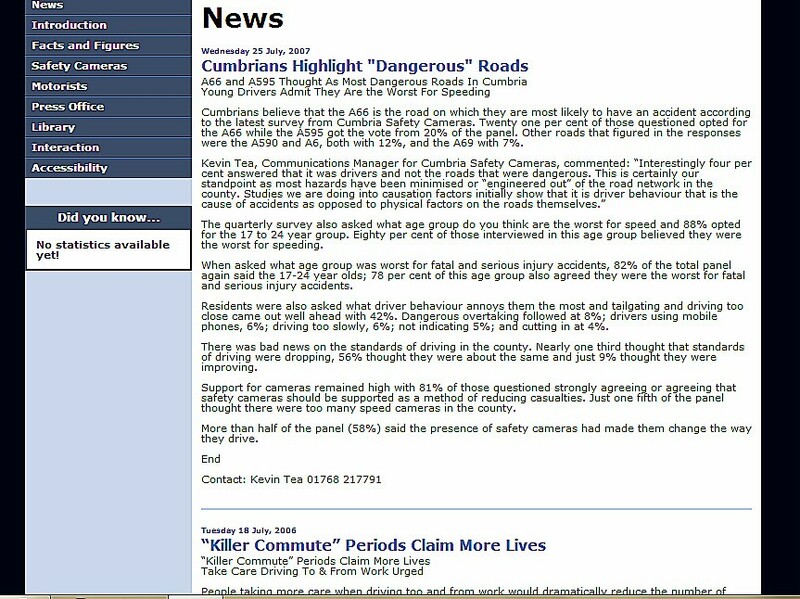 So why have the Cumbria Safety Camera Partnership had no news to report since 2007? They have failed to mark National Road Safety Day every year since it's inception, failed to report any major road works, or report the new roundabout being constructed on the A590.... I could go on! They have even failed to report on their perceived success since fatal accidents have finally reduced, as improved in car safety features have become more and more prevalent! What it really boils down to is that they really have no interest in road safety at all, just the perpetuation of the speed camera myth, and the preservation of their jobs! That money would be better employed elsewhere, addressing more serious issues! Come on then Steve - it's a photo of your company car -admit it . Is it just me or is she hot! Shame her off licence aint near me.